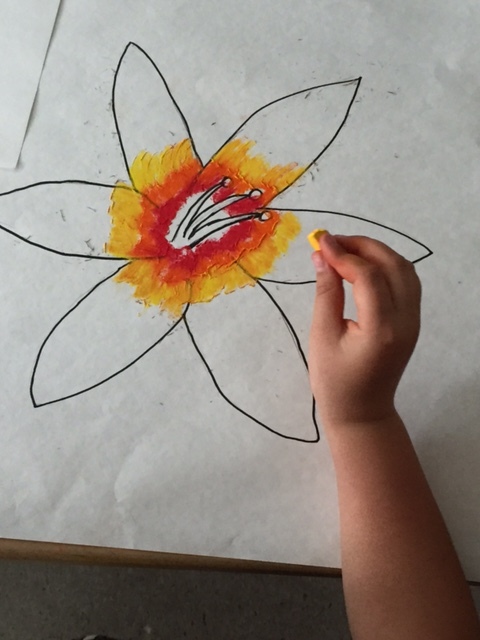 Our School Learning Plan « Mamquam Elementary - We Are An Art Infusion School! If we focus on common coherent curriculum and effective instructional strategies, then students will become Creative and Critical Thinkers. Moving forward from our previous plan; staff, parents and students will continue to focus on the student learning outcome goal of Creative and Critical Thinking. As a learning community, we are still in the first year of development on our present goal. It started last winter with the refinement of our 2015-2016 School Learning Plan, in which there were many valuable goals and interventions. However, there was a feeling that the outcomes and strategies as laid out were too numerous and varied, making it difficult to execute interventions and track results. We came to a consensus that we desired one goal that was engaging for staff, students and families, where we could develop and target specific interventions and track our results more effectively. To develop this one goal, staff considered different areas of learning. We considered the district competencies of Think Critically, Create and Innovate, Collaborate, and Contribute and the Ministry Core Competencies of Communication, Creative Thinking, Personal Responsibility and Social Responsibility. We asked ourselves which area(s) best encapsulated our most current plan and also excited us. That is, which area of learning would allow us to go deeper, while also capturing the learning outcomes, structures and strategies we already use and saw as valuable. Through the refining process it was decided that we would like to focus on the learning outcome goal of Creative and Critical Thinking. By focusing our goal in one area, it allows us to go deeper with the great work that we currently do, while exploring ways to improve our structures and strategies further. The purpose of this document is not to describe everything that is happening in the school, but rather to provide the relevant information as it pertains to the goal of having students develop as creative and critical thinkers. As of October 2018, our structures and strategies for this goal are currently under development and are described for now as “coherent curriculum and effective instructional strategies.” These two areas have been identified as foundational for developing creative and critical thinking learning outcomes. Both defining and understanding what our specific learning outcomes are (coherent curriculum) and designing classroom interventions (effective instructional strategies) are essential elements as we work towards this goal. It should also be mentioned that one of our main instructional strategies is Arts-Infused Learning, more about this is described below. Generally, our School Learning Plan process is to use a yearly inquiry cycle of review, analyze, theorize, learn, intervene, collect data, reflect and then return to analyze. We believe in continuously engaging our stakeholders; staff, students, parents and community in our plan and our results. The process to engage staff, students and families begins with our School Learning Plan (SLP) Team. This team consists of the Principal and three regular staff members. We have been trying to engage parents to join this team, but have yet to find a consistent person or people. At our SLP Team meetings, we decide on next steps of how we will engage our stakeholders on the development of the School Learning Plan. To engage staff, we discuss the School Learning Plan and do activities that inform and engage with the plan in every staff meeting. To engage parents, the work of the staff is presented to the parents at most PAC meetings for their discussion and feedback. Over the past year, the PAC feedback has been extremely positive and supportive of the work of the School Learning Plan Team and the staff. Families are also engaged in the plan through our weekly school email, which includes items that inform parents of our school goals, and attempts to build understanding around those goals. To engage students, we use student forums. Last year, in an initial forum, a group of students in grades 4-6 were introduced generally to School Learning Plans, and asked for their feedback and input about Creative and Critical Thinking as a learning goal. They provided support and excellent input that was then used later by staff in a staff meeting activity. We have a few new ways that we will be engaging our stakeholders in our SLP this year which will be described in further detail below. Creative and Critical Thinking as a learning outcome goal addresses the learning needs of each and every student. Core competencies such as Creative and Critical Thinking impact all areas of a person’s life; mental, social, emotional, physical, and spiritual. These skills influence and contribute to the development of all learning across curriculum and life.